You’ve heard that saying about teaching an old dog…. Well, I’m here to prove it wrong! I’m not exactly “old” but I am learning some new tricks! And with a hiccup here and there, they have turned out quite well. 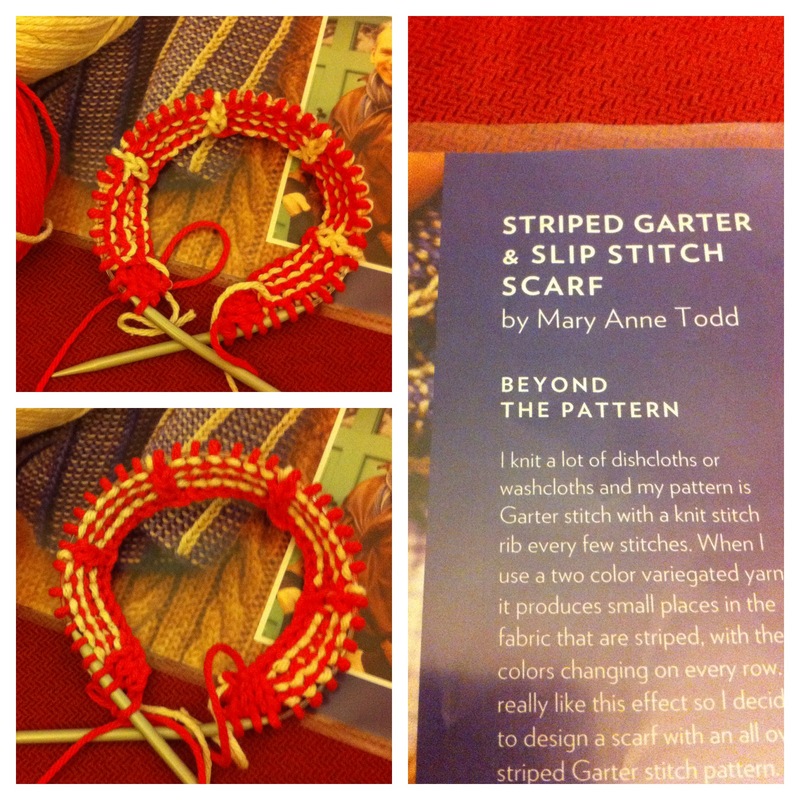 In the most recent issue of Cast On, there is a beautiful scarf designed by Mary Anne Todd. It is knitted in such a way as to have slip stitches on one side of the fabric in one color, and on the other side, the contrasting color. These types of stitch patterns that allow BOTH sides to be the “right sides” are perfect for scarves and dishcloths. Both sides look great! First new trick I learned was how to create a Reverse Long-Tail Cast On. The instructions were detailed in the pattern and it worked like a charm! And then I started the four row repeat, marveling at how the stripes were created through the garter stitch background. It’s fun to learn new knitting techniques! 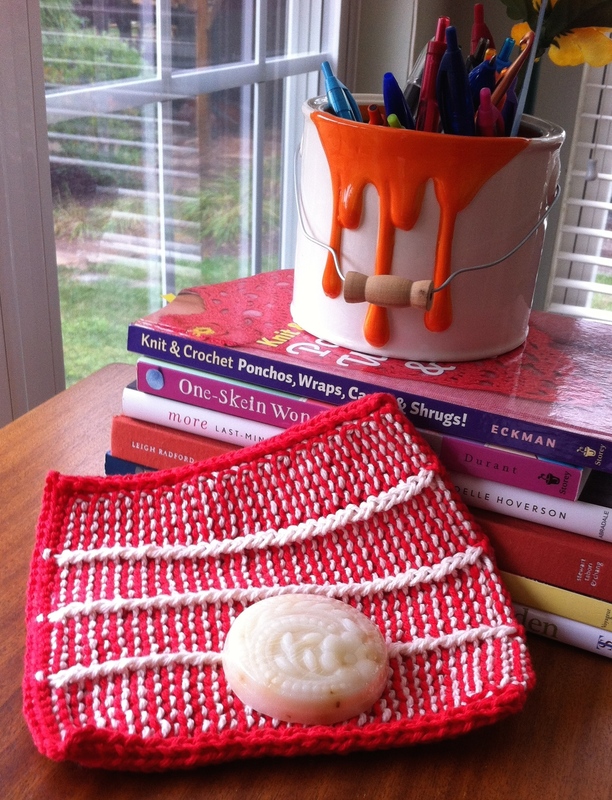 The more I learn and read about knitting, the more I realize how much there is to learn about the world of knitting! It makes me want to embark on TKGA’s Masters Knitting Program to learn it all! I just might do that one day! BTW…the soap which so cleverly covers up my “mistake” is from Lily Leaf Soaps. Tara makes the most wonderful line of soaps, lotions, lip balm, etc. They are perfect to give with a hand knitted washcloth! Then, I tackled recovering a couple of lamp shades. These awesome lamps were given to me by my family at the end of July for my birthday. 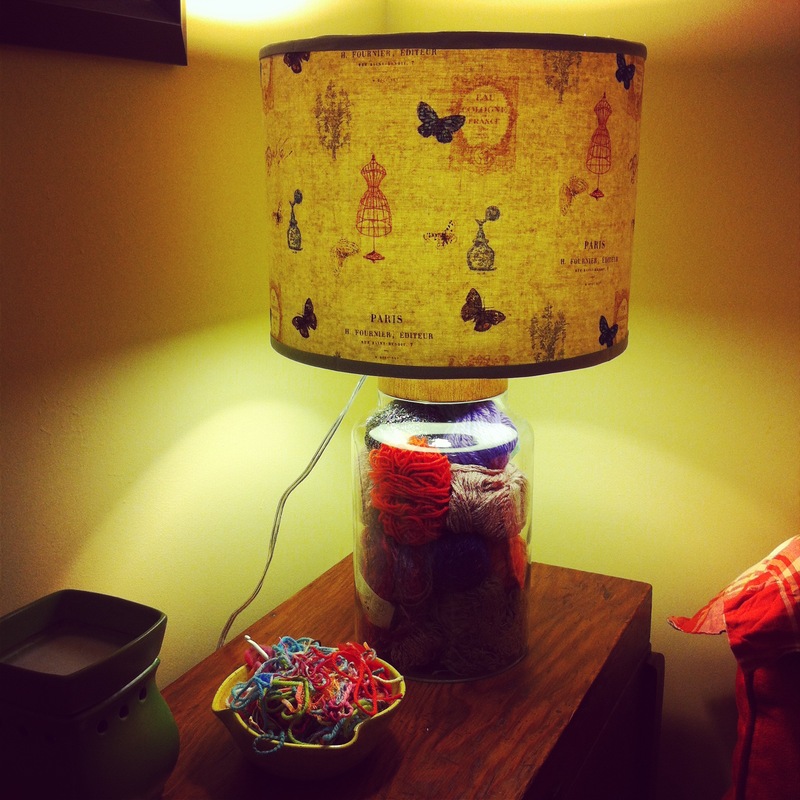 I had wanted to have a lamp that you could fill the base of with yarn. They found TWO of these, both different from each other, and I was soooo excited to fill them and recover the shades. I found the perfect “frenchy” fabric and dove in not having ever covered lamp shades before. Right away, I made a mistake! I had the shade belonging to the taller of the two lamps. I measured the distance from top to bottom and cut that length straight across the fabric. But when I draped it around the lampshade, it didn’t fit at all!!! I had failed to account for the fact that this shade was slightly smaller at the top than it was at the bottom. For a few minutes I agonized that I wasn’t going to have enough fabric to cover BOTH of them because of cutting this first one incorrectly. But then I remembered that the other lamp shade seemed to be straighter than this one. So I went to get that shade and sure enough, PERFECT fit for it! Whew! A mistake redeemed! I love how these lamps turned out! 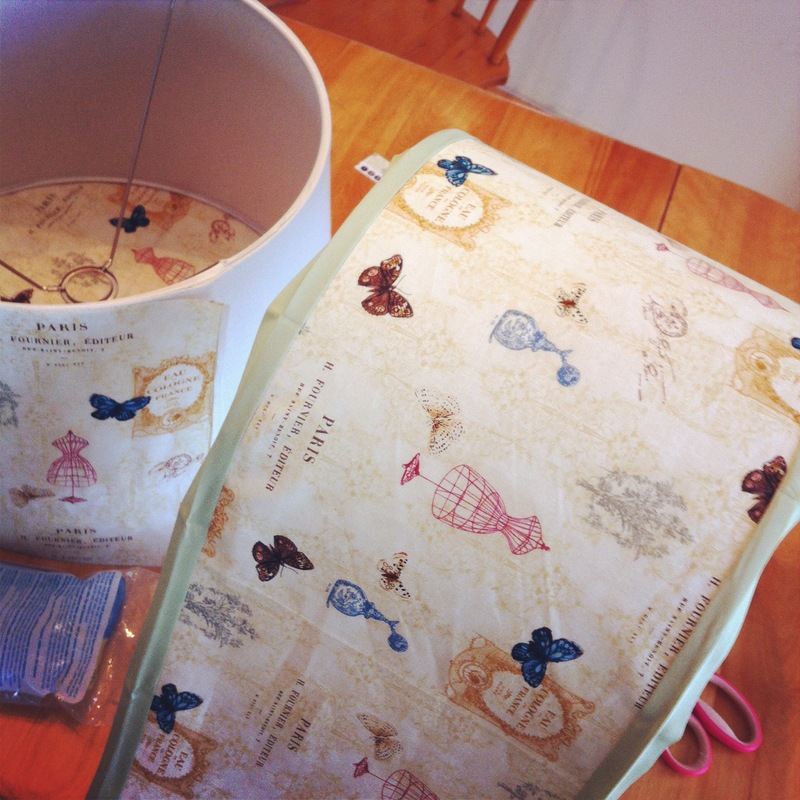 I sewed double sided binding on the top and bottom of the fabric so that I could hot glue the binding on the inside of the lampshade. They are not perfect by any means! “Mistakes” in our work might not be such a bad thing…it’s the essence of “handmade”, right? And might just be a key to Living Artfully. Oh, my dear, you did NOT make “mistakes.” No ma’am. Those are what I call in my own work “my humilities.” I like the Amish thinking. Those women purposefully place “mistakes” into their quilts to show the world they are not perfect, and to keep themselves humble. Therefore, rejoice in your humilities! BTW, I love that double sided knitting. I’ll have to try it out. This is the first I’ve seen it. Oh I like that…”my humilities”. And I did not know that about the Amish purposefully putting “mistakes” in their work! I’m in good company then! Thank you so much for visiting and commenting! Lol, mistakes are a norm for me I’m afraid. If I make too many I will start over but usually I only make one or two per project. I just ordered some new yarn for dishcloths. I always felt as if the ones made from Sugar and Cream yarns were too thick so I tried the basic cloth (garter stitch from one corner to the opposite corner) in Grace yarn by Patons and it came out great! So now I ordered colors to match my kitchen although I had to order online as my local stores didn’t have it anymore. I will have to look up that reverse long tail cast on. I don’t think I’ve tried it before (probably have it in one of my books). 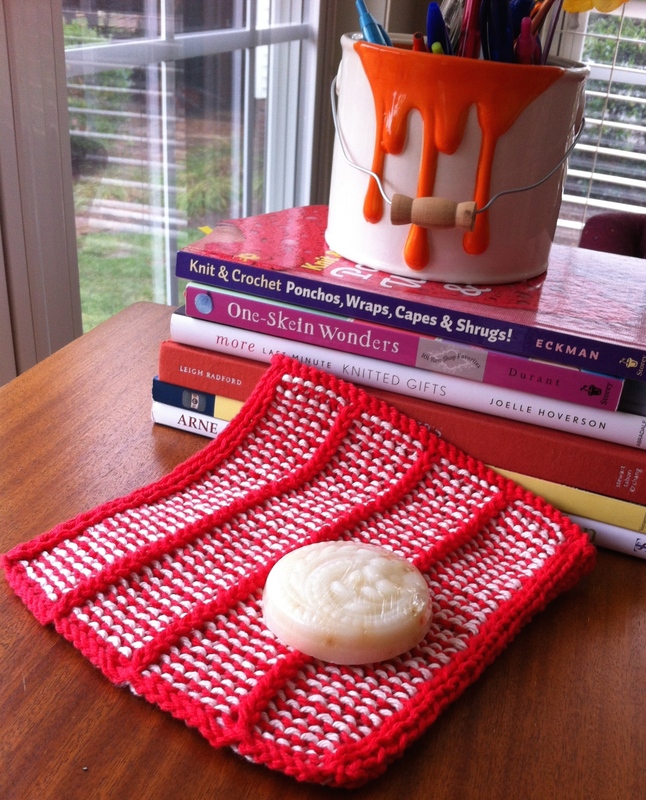 It’s a pretty technique you’ve learned with this dishcloth. Have you done any two layer knitting with the design on both sides? I made a pair of mittens that way years ago. Love your new lamps! I have painted a shade to match my craft area but not covered one anew. They look like you did a nice job in the photos! Thank you Timaree! The lamps were a lot of fun. I don’t think ice ever done any two layer knitting before…sounds interesting! Does it create the pattern on both sides as you Knit? 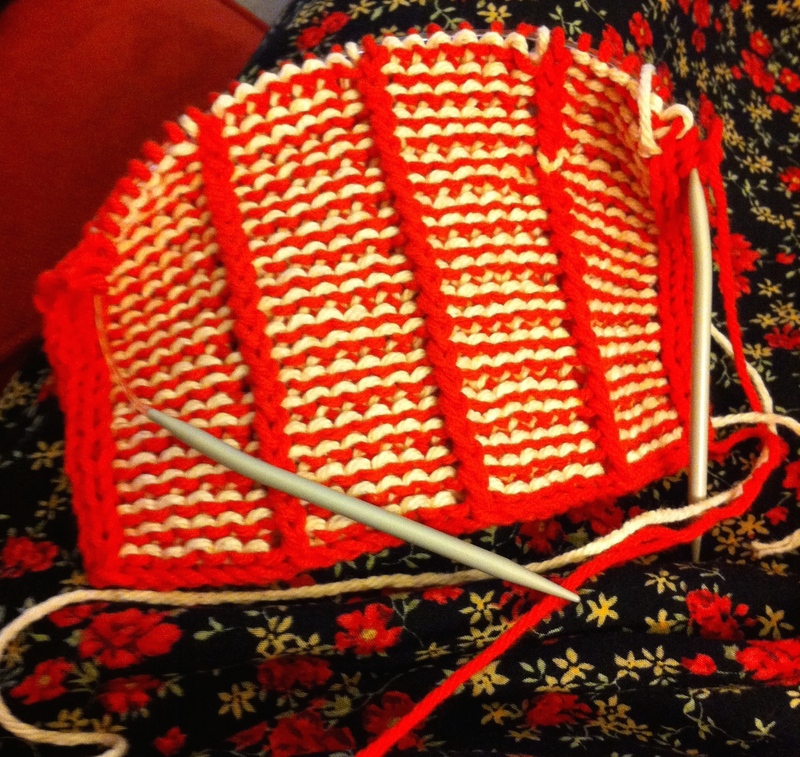 Or do you simply knit the pattern twice and then fold it over to have both sores the same? Anyway, there are so many interesting techniques I have not even begun to try or imagine. Keeps us going for sure! Hope you are having a lovely creative day Timaree! You’re so creative. I love the knitting. 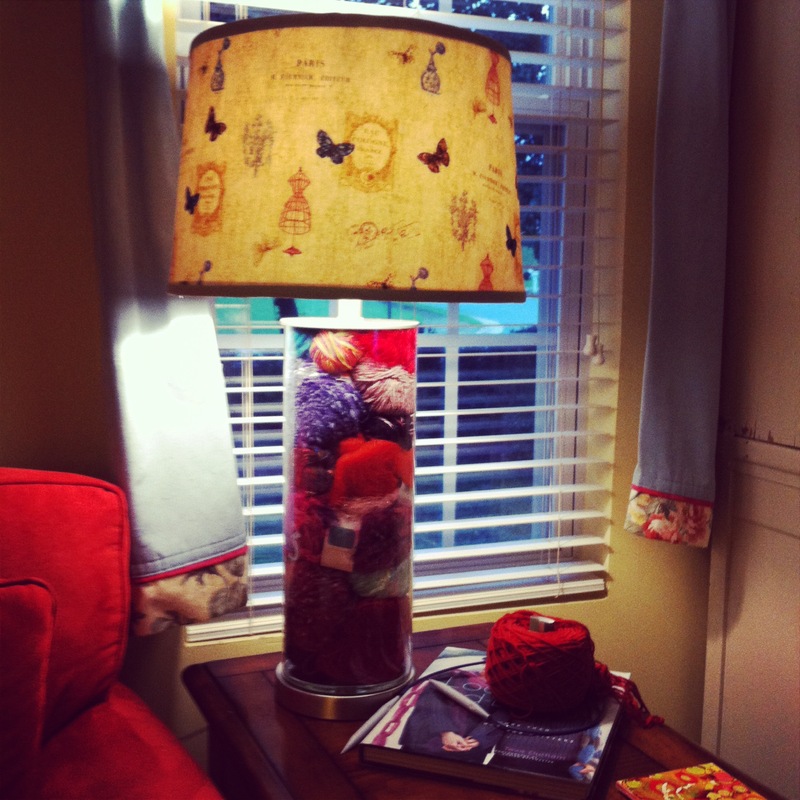 I love the yarn-holding lamp. I love the paint-tin pen-holder. Please could you come here and design my life? ?